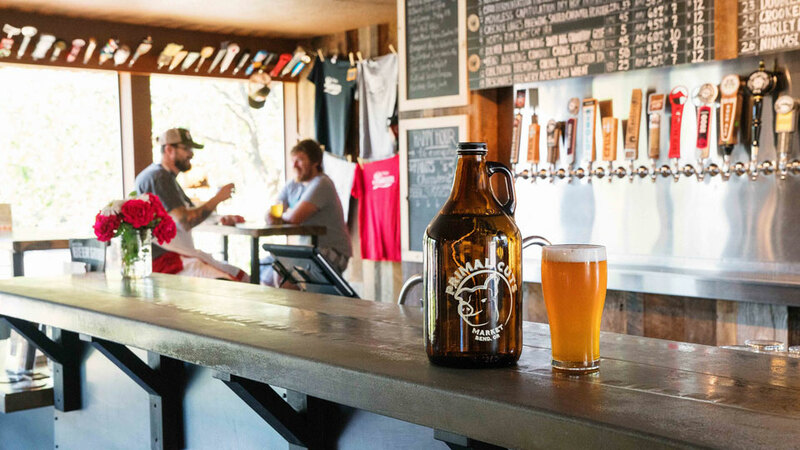 Located on Bend’s northwest side on Galveston Ave inside and part of Primal Cuts Market, Growler Phil’s features 39 rotating taps of craft beer, cider, and kombucha available by the pint or growler fill. Thirteen of their taps feature local craft brews, with another 13 from outside of the region, and the rest of the taps are dedicated to hard ciders and kombuchas, and even cold brew coffee on nitro, which is a creamy treat. They offer flights and tasters to help you find the perfect beer to pair with the fantastic sandwiches and charcuterie made of the sustainably raised, high quality meats offered at the Market, and they do a brisk business in pints, especially during their Happy Hour every day from 4:00-6:00 p.m. Don’t miss out on the food and do consider them for a lunch stop or a perfect apres ski interlude. They are open 10:00 a.m. to 7:00 p.m. daily.